Chicago is a great city and I have grown to love it. Over the course of the last nine months, I have been to the Windy City over a half dozen times, filming sixteen amazing people who applied for their original birth certificates when Illinois enacted HB 5428 on November 15th, 2011. It took six months for all sixteen to receive their records – and each person’s story has been so unique to document. Weaving their experiences together will be a wonderful challenge, and focusing on transmedia (I wasn’t sure what this was either at the beginning) and outreach will make this venture bigger than a film, and a great opportunity to educate folks not only about issues adult adoptees face, but also about the legislative process that can change antiquated laws. There’s so much to learn from each adopted citizen who has participated in this project, and their stories continue to unfold as each month goes by. When “ADOPTEE OBC: that simple piece of paper” is released in 2013, audience members will be invited to step into the shoes of Bill, Bob, Bryan, Carolyn, Gay Ellen, Jean, Jennifer, Krista, Linda, Maryellen, Maura, Mitch, Sara, Thomas, Tom, and Tracy, as each is finally able to see the document the state of Illinois sealed the moment their adoption was finalized. Both of my parents died in the month of February, my father in 1965, my mother in 1987. My husband’s parents also died in this month. So it’s a season when we spend some time thinking about family and about the people who are special to us. It is a month of remembrance. This February is particularly special. A quarter century ago, my mother died. She never got to see her grandson, Tiff, who would be born that year of 1987, though she witnessed his impending arrival in an ultra sound. I miss my mom today. I miss her always. Our sons missed out on having a relationship with her – though they will always have a relationship to her. 2011 has been a significant year for adoption reform. On May 9th, NJ-CARE made history by getting adoptee access legislation through both houses. After witnessing all that’s involved in politics in New Jersey, the dual passage was nothing short of herculean. All that remained to make access a reality was the governor’s signature. Governor Christie had 45 days to respond. He conditionally vetoed the bill on the very last day he could do so, timing his decision to coincide with a hotly debated bill regarding unions, effectively burying any response to the birthright legislation on the back pages of local papers. It was heartbreaking to watch – and yet inspirational as NJ-CARE regrouped this fall to begin anew. On July 1st, unlike NJ’s Christie, Rhode Island’s governor Lincoln Chafee courageously signed legislation which will give all RI adoptees their OBC’s at the age of 25. While the age is problematic (if society believes an 18 year old is responsible enough to fight a war, why must they be 25 to receive their own birth certificate? ), the bottom line is all adopted citizens will finally have access starting July 1, 2012. With only Vermont and Connecticut (and the sandwich in Massachusetts) to go, New England is poised to be the first region where adopted citizens have equal access in the US. And on November 15th, the state of Illinois enacted the last phase of their adoptee birthright legislation, opening the door for all adult adopted citizens to apply for their original birth certificates. On this one single day, more records became available (350,000 including the original pre-1946 release in 2012) than in all other states which have reversed sealed records laws combined. Because of a limited budget due to a state financial crisis, only two people are handling the thousands of requests that have come in. While the process is slow, and the inability to have an ‘opening day’ akin to Maine or New Hampshire was disappointing (not all records are electronic or centralized, so such an event was impossible), the enactment was momentous. A game changer. While there have been many naysayers, the bottom line is that ALL Illinois adopted citizens will receive something. If a birthparent wishes to remain anonymous (320 have thus far requested this out of a total of 350,000 sealed records) their name will be redacted, but the record will still be released. The adoptee will, in essence, receive a private communication from their birth parent with this redaction – for whatever reason, it is not a good time to reconnect. Far better to receive this, than to have a state clerk say ‘no’ to all adoptees. If there is no record of birth at all (which is the case for not only some obc’s but also for records of some non-adopted citizens, particularly those born in rural areas) the adopted citizen will at least learn that. Having witnessed folks at the moment they have received their Illinois birth certificate, its hard not to applaud this complicated bill. It is getting the job done. I have had difficulty understanding those who attack the people who have been down in the pits fighting for this access. There’s always a presumption that those who work legislation which has become laden with compromises of redactions, age limits, and contact vetoes are copouts, that they are foolish or weak or worse – that they aren’t interested in unlimited access for all. It’s crazy, and nothing could be further from the truth. It is so easy to stand on the sidelines and shout about access for all – those are just words. But it’s action that counts if there’s going to be change. People of action were responsible this year for kicking the ball way down the field. To all those who fight the legislative battles, thank you for making 2011 an extraordinary year. If the naysayers had their way, not one record would have been released in 2011. Instead – hundreds of thousands of adoptees now have the ability to apply for their obc – and THAT is something to celebrate. It’s NATIONAL ADOPTION MONTH – and ADOPTED: for the life of me will be screening across the country all this month on public television! The film will be airing every day of the first week of November throughout New Jersey, and in New York City and Philadelphia. To see when the film might be broadcast in your area, visit www.adoptedforthelifeofme.com and click on the “FIND PBS BROADCAST” button at the bottom of any of the five main pages of the site and you’ll see the most up to date list of broadcasts. New air dates are being added regularly so check often! We’ve been working hard to prepare an outreach campaign to coincide with the broadcast of the film on Public Television Stations, beginning in November of 2010. The film’s website is going live on October 5th, with all kinds of new tools, for everything from hosting a screening to how to find when the film is playing in your neck of the woods, to maps which will help audience members learn about their state and find out what simple things they can do to help in this effort. I headed with my husband Jon to Wisconsin mid-month, for a brief break in the film outreach, to begin work on a new project which has been in the works for a few months. This new short film (working title: “The Value of a Single Life”) is an examination of two men who both fought for the Wisconsin 6th in the Civil War. One lived and one died, and the impact of their destinies on their families is a testament to the value of fathers, a value that affects generations. I was able to watch my nephew, Reed, one of the lead cheerleaders for the University of Wisconsin, toss teammates in the air and somersault in celebration as the Badgers beat the ASU Sun Devils. Jon then headed to South Dakota (where he went down 5,000 feet underground, to see a new lab being built by the National Science Foundation), while I went to Minnesota for the first community screening of the PBS version of “ADOPTED: for the life of me”. Over 70 people showed up for the screening – a fantastic turnout, and hopefully a portend of screenings to come. Many thanks to Mary Mason and her wonderful team of Minnesota colleagues for a memorable evening. Then it was off to Chicago to spend three incredible and exhausting days with Sara Feigenholtz, the Illinois State Representative who spent the past fourteen years pushing an adoptee access to information bill through the state legislature. With passage of the bill in May, Illinois became the 10th state to provide access to its citizens. Sara, and her intrepid staffers Stephen and TIffany, whisked me and fellow filmmaker Jerry Peck, to countless interviews, feeding us only sporadically, but introducing us to some extraordinary legislative colleagues, from Senator Mike Madigan to Senator A.J. Wilhelmi, who graciously found time to meet with us during a tense elective season. I arrived back home with some extraordinary interviews in my film bag. Can’t wait to get into the editing room! August began with Annette Baran’s incredible memorial service in Santa Monica. With many of Annette’s dearest friends traveling across the country to attend, from Joyce Maguire Pavao to Martha Hulbert, as many Californians traveling hundreds of miles, from Sharon Roszia to Karen Vedder to Nancy Verrier and Sarah Burns, those of us from the adoption reform movement at the service had an opportunity to know Annette from new perspectives, through the eyes of her family and friends. Montages of Annette’s life and short video clips illuminated the life of this irreplaceable advocate for openness in adoption. It was fascinating (and hard!) to watch a video of Annette on “60 Minutes” back in 1975. She was spot on with her comments to Morley Safer – yet the exact same discussion could have taken place today, making many of us feel like we hadn’t moved the ball down the field very far in the 35 years since that taping – until we reflected on what Annette accomplished in her lifetime. 85% of adoptions are open today – and Annette was one of those who led the parade. While we continue to fight on behalf of an increasingly aging population of adopted citizens who seek to the know the beginning of their life story, we can celebrate the battles won in recent years. Annette’s pioneering efforts led the way for so many of us. We will miss her every day – and work hard to continue the work she began. 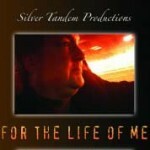 The day I returned from California, I received word that “For the Life of Me” will be screened on PBS in November! At the suggestion of my friend Peter Daulton, who has made the terrific short films “Flowers From the Heartland” and “Eyes Wide Open”, I submitted the film to NETA, which supplies programming to PBS. The film was selected and we’re now gearing up for the broadcasts with an outreach campaign. Hopefully, we’ll be up and running by November 1st, when the broadcasts begin. There’s much to do – and everyone interested in having a broader debate across the country about adoptee access to records, is welcome to find ways to utilize the film as a tool to spark a discussion and hopefully engage new people to take action!